The Cyamus regional group encompasses the West Coast of North America and Hawaii, including Alaska, British Columbia, Washington, Oregon, California, Baja California, and Hawaii. Our members represent libraries in academic, governmental and private institutions, providing information services for many areas including: marine and freshwater sciences, oceanography, geology, fisheries, meteorology, education, policy, and more. We share a wide range of skills and expertise from all areas of librarianship. Cyamus – we’re not your average parasite. 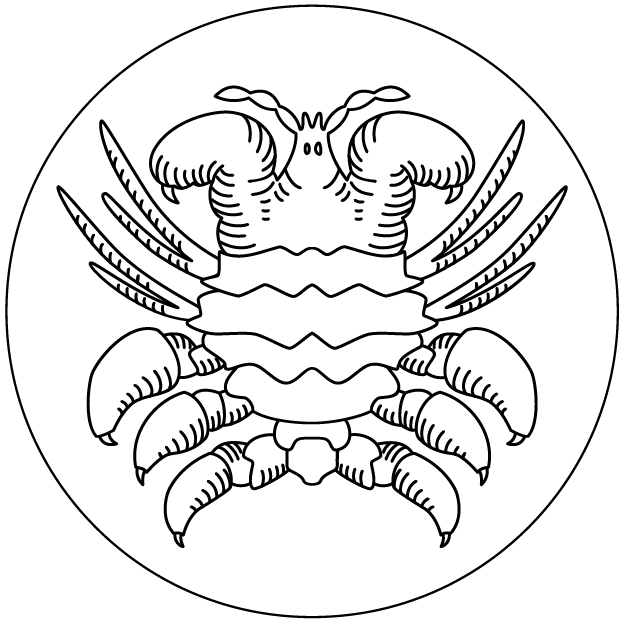 Our name is derived from Cyamus scammoni, a louse which rides on the gray whale (Eschrichtius robustus) whose migrational territory matches the group’s geographic region. Annual meetings are part unconference, part science bootcamp, part traditional conference, and offer a “boatload” of networking opportunities. Cyamus meetings provide opportunities to visit relevant institutions and give members a forum to exchange ideas. The meetings are held in the spring, alternating with the fall international IAMSLIC conferences. Past meeting programs and notes are available in the Annual Meetings archive. To encourage participation by new library professionals, Cyamus offers financial support to first-time attendees, library school students, or recent graduates to attend the Cyamus Annual Meeting. The 2019 Annual Meeting will be held March 27 to March 31, 2019 in Bamfield, British Columbia. Our conference hosts are the Bamfield Marine Sciences Centre and the University of British Columbia. Visit the conference wiki to register and for more information. 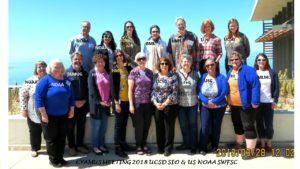 The 2018 Annual Meeting was our 30th Anniversary Meeting and was held March 26 to March 28, 2018 in La Jolla, California. 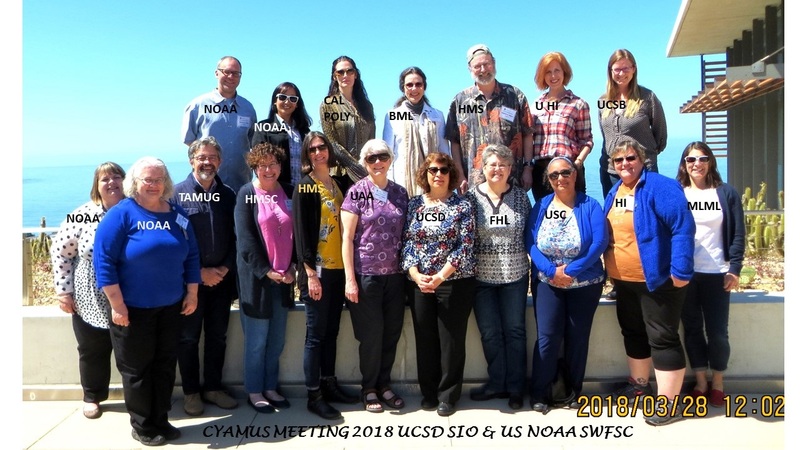 Our conference hosts were University of California, San Diego and NOAA Southwest Fisheries Sciences Center. Visit the conference wiki for more information. 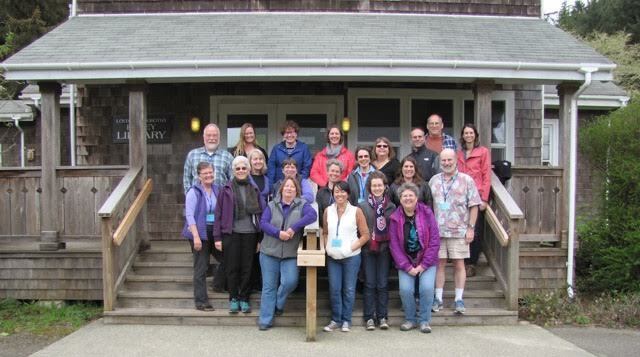 The 2017 Annual Meeting was held at Oregon Institute of Marine Biology (OIMB) in Charleston, Oregon, March 30 – April 2, 2017. Visit the conference wiki for more information. Many Cyamus libraries contribute to the Union List of Marine and Aquatic Serials which includes library holdings of selected participating libraries. Cyamus has funded a number of digitization projects by its members. Digitized material is submitted to the IAMSLIC repository, Aquatic Commons. Visit the IAMSLIC Web Site for more information.